The purpose of this blog was for me to learn something, then pass on the knowledge to others. Before this, I already knew the basic philosophy behind rigging a character spine in Maya, but I had never done it in Blender and, unfortunately, many of the tools don’t transfer. Below is a video I put together that describes what I learned. It’s a little long, but if it teaches everything that I learned while making it, it will save you a lot of time, trust me. I’d like to state that I highly encourage people to leave comments and feedback below or on the video. Also, if anyone has any suggestions of a better process or want to share more advanced techniques, please let me know! One last thing before I go I wanted to share a rigging resource I’ve been using for quite awhile. 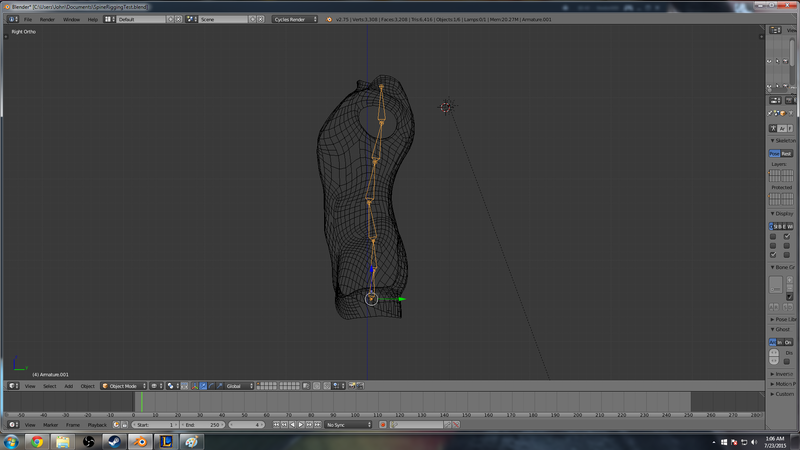 It’s for Maya and while the tools don’t really translate to Blender the philosophy behind how you rig does.